The folks at Marvel Games are more serious than ever in their plans to replicate the incredible success of the Marvel Cinematic Universe (MCU) with videogames. Insomniac’s Spider-Man PlayStation 4 exclusive may be the tip of the spear, but there’s much more to it. Telltale’s Guardians of the Galaxy and the upcoming Avengers project by Crystal Dynamics and Eidos Montreal are already known, but in an interview with Gamespot, Vice President and Executive Producer Mike Jones revealed that there are also some “incredible” unannounced console, VR and mobile games. We absolutely have a roadmap. We have some incredible mobile, console, and VR games planned that I can’t announce or talk about today. We are curating our portfolio and trying to find the best match for character, partner, genre, platform and trying to not just see who wants a license to make a game. We’re actually very active in planning what are the right experiences for the right franchises for the right platforms, as well as finding the right partners who can provide the best of that. A lot of times partners come to us and tell us they’re really passionate about a character and have an amazing idea for a project. While other times, we have partners and developers that we really respect and want to work with. It’s definitely music and lyrics, and we’re always trying to find those perfect marriages. Jones also provided a heavy hint towards a possible The Defenders game project. The same thing goes with Avengers: “What makes an Avengers story unique and different from a Spider-Man story or even a The Defenders story? In a sense, we’ve learned from all kinds of great storytelling in gaming. There are characters like Spider-Man, Avengers, Guardians of the Galaxy, and The Defenders, which are all properties that have a natural awareness and fan affinity and we absolutely want to make sure that we deliver on those. 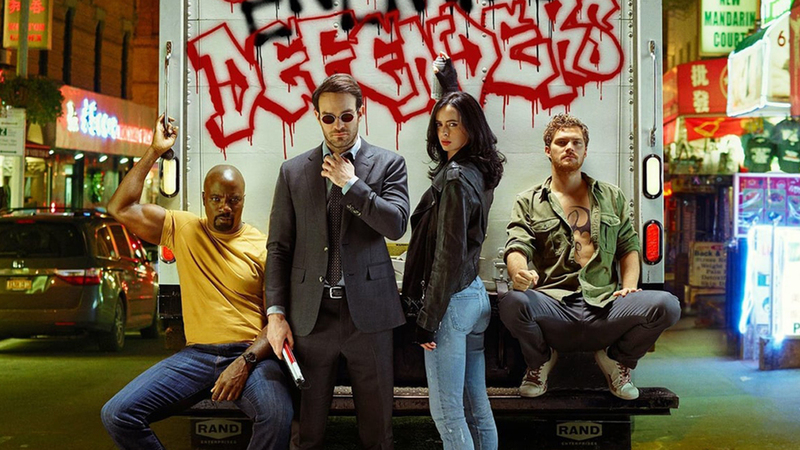 This would make perfect sense, considering that Marvel’s partnership with Netflix is about to culminate in The Defenders TV show (due on August 18th), after that each superhero got individual seasons. Now that these characters are more appreciated by the wider public, exploiting that interest with a game seems only a natural fit. Obviously, we’ll keep you apprised of any developments on this front.